To say that skin cancer is a serious medical condition is something of an understatement. According to the Skin Cancer Foundation, roughly one person dies of melanoma every hour, every day, around the world. The estimated five-year survival rate for patients who catch their melamoma early is roughly 99% — but that rate falls dramatically to 63% once the disease reaches the lymph nodes. When the disease metastasises to other organs, the rate drops to 20%. For Australians in particular, there are three common types of skin cancer to concern yourself with: melanoma, basal cell carcinoma, and squamous cell carcinoma. As is true with so many medical conditions, the key to making sure that this is a situation you do not have to deal with involves knowing as much as possible about it. 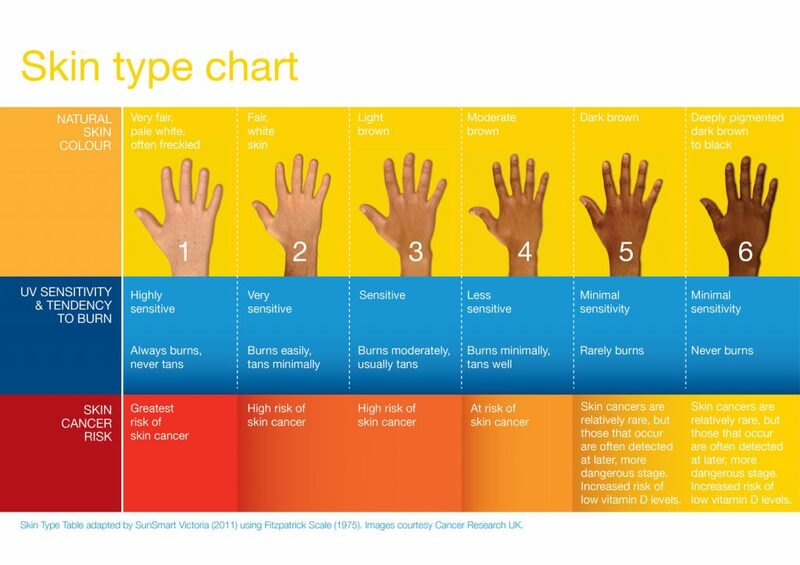 Learning more about the top three risk factors for skin cancer, for example, will put you in an excellent position to make any necessary lifestyle changes to greatly reduce the likelihood of a diagnosis in your future. One of the leading risk factors for skin cancer in Australia comes down to a genetic disposition that is directly linked to your skin type. Consequently, this means people with fair skin are more likely to get skin cancer for a wide range of different reasons. If you have not only fair skin but also lots of freckles, moles, or sun spots (also referred to as solar keratoses), this is an indication that either your body is particularly prone to sun damage or you’re at an increased risk of experiencing it in the future. According to one recent study, people with more than 50 moles have a very high melanoma risk. While this isn’t necessarily a risk factor you can control, there is something you can do about it: be as proactive as possible. Always be on the lookout for changes to your moles, and be sure to take pictures on a regular basis. If you suspect changes are occurring make an appointment with a specialist to have them properly examined as soon as possible. Another common risk factor for skin cancer in Australia is something that you cannot control — your personal history. If a parent or sibling has developed skin cancer, you are more likely to find yourself in a similar situation. Likewise, if you have already developed skin cancer before, then it's likely it will happen again. Equally pressing is a history of one or more major sunburns. In fact, just one major sunburn incident can increase your lifetime risk of melanoma - the deadliest form of skin cancer. After five or more blistering sunburns — particularly during your childhood or early adolescence — your risk literally doubles. This particular risk factor will be bad news for Australians in particular, as both our geography and our climate make us particularly prone to different forms of skin cancer. According to the Cancer Council of Australia, more than 750,000 people are treated for one or more non-melanoma skin cancers in Australia every year. To put that into perspective, 2 in 3 Australians will be diagnosed with skin cancer by age 70. Simply put, excessive UV exposure and an outdoor lifestyle increases your risk for skin cancer, end of story. This can range from occupational work that increases your risk to a past history of prolonged sun exposure. To that last point, research shows that people who have used UV tanning facilities or related devices on a regular basis are actually 74% more likely to develop melanoma than those who don’t. Thankfully, this is one of those risk factors that you can control. If you work outside or spend a lot of time outdoors on a regular basis, always make sure that you’re using sunscreen and appropriate protections. You should not be using commercial tanning services as these have been banned in Australia and if you use a solarium at home, now would be an excellent time to stop. At MoleMap, we understand what a pressing issue skin cancer truly is — both in Australia and around the world. Those who are at high risk of melanoma, basal cell carcinoma, and squamous cell carcinoma need to be extremely careful. That's why we’re prepared to do anything and everything we can to help. If you’d like to find out more information about the other common risk factors of skin cancer, or if you’d like to take our risk assessment where you can fill out our advanced risk calculator to learn more about your own personal situation, don’t delay — contact MoleMap today.